With the 3rd quarter financial filings all getting posted on Monday, Starting Line continues its series of reports on where the field stands in each Iowa congressional district. Up today: Iowa’s 2nd District, where incumbent Democrat Dave Loebsack, the last elected Democrat on the federal level in the state, is looking to secure a seventh term in 2018. Iowa City physician Dr. Christopher Peters is looking for a rematch with Loebsack in 2018, and so far he’s the only Republican to have announced. There’s a little bit of chatter within the district about a few other potential Republican names who might get in the race, but there’s real doubts anyone will pull the trigger on a run. It was another characteristically strong fundraising quarter for the Democratic incumbent. Loebsack boosted his overall campaign war chest to just under $1.5 million, a daunting number for any other Republican considering the race to think about quickly matching. Loebsack’s finance filing had all the usual sources of revenue for the congressman: checks from labor PACs, various national PACs, University of Iowa employees, attorneys and a long list of small and mid-sized Iowa donors. Labor union support included $5,000 from Midwest Region Laborers, $5,000 from the UAW and $1,000 from the Letter Carriers. He also got $4,000 from Congressman Tim Ryan’s America 2.0 PAC. Like most other incumbent members of Congress, Loebsack also brought in money from a wide array of issue group PACs. 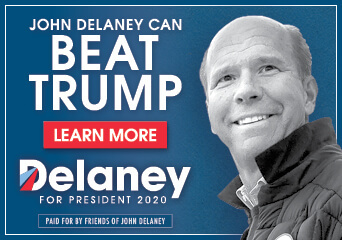 Among many others, he got $1,000 from the League of Conservation Voters, $5,000 from Ford Motor’s PAC, $5,000 from the Equality PAC, $2,500 from the American Healthcare Association, $5,000 from the American Crystal Sugar PAC, $2,000 from the American Soybean Association, $5,000 from the Senior Care Pharmacy Coalition PAC and $1,500 from the National Beer Wholesalers PAC. On the individual donor front, gubernatorial candidate Fred Hubbell contributed the maximum $2,700. Loebsack got the same max amount from Richard and Mary Jo Stanley of Muscatine and from William Parks, a $15/hour minimum wage advocate and business owner from Idaho. Other mainstay Iowa donors like Jack Hatch and Pam Bookey show up in the report as well. Dr. Peters, a former libertarian, struggled with fundraising issues in his 2016 race, and is starting out in a similar situation for 2018. 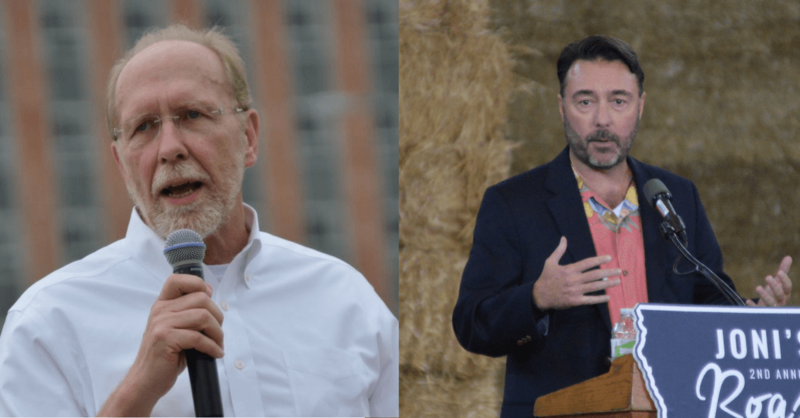 He brought in $216,592 for the entirety of his last congressional bid – enough to have a functioning campaign, but simply not enough to take on an incumbent of Loebsack’s stature. 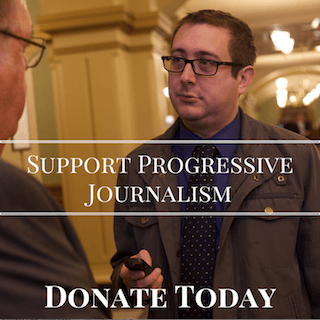 The vast majority of Peters’ donations this quarter come from people in his home base of the Iowa City and Coralville area, many of whom are doctors themselves. A couple medical professionals from outside Iowa are on his list, as well as some other Peters (probably related) from other states. 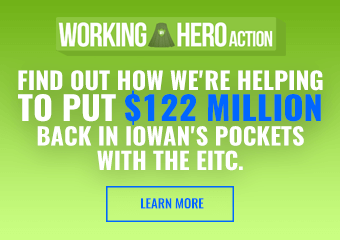 Peters got $1,000 from Jason Glass (update: not the former Iowa Education Department head like I wrote earlier, a different Jason Glass – apologies on that), $2,700 from Iowa City apartment owner David Barker and $2,700 from Kevin O’Brien, who runs McDonalds franchises in Iowa City. Will any other Republicans enter the race against Loebsack? That’s the only outstanding question left to be answered for Iowa congressional races in 2018. It’s difficult to see a Peters/Loebsack rematch resulting in a different result from last time around, especially without the unexpected Trump surge in Southeast Iowa likely to recur next year. Peters actually denounced Trump during the 2016 cycle and said he would abstain from voting in the presidential race that year. Some wondered if that hurt him with Republican votes in a district where Trump vastly over-performed past GOP nominees in blue collar areas like Burlington and Ottumwa, but it’s not clear just how many of those kind of voters even knew of Peters’ defection. Loebsack’s huge financial advantage has already scared off potential top-shelf Republican opponents. That, in addition to Loebsack’s continued resiliency in his working class district thanks to his laser-like focus on jobs and wages, has made the task of taking him on look like too much of a risk. Former Terry Branstad Chief of Staff Michael Bousselot was seriously considering the race earlier this year, as well as a few legislators in Eastern Iowa, but there hasn’t been much public chatter about them recently. “That seat is Dave Loebsack’s until redistricting,” one Republican source told Starting Line this week when talking about the 2nd District. Still, a handful of names are still circulating the district as potential GOP opponents. George Toubekis, an Iowa Army National Guard member who served in Afghanistan and the mayor of University Park, a small town in Monroe County, has had his name floated by some Republican insiders. One of the Zimmermans, a Republican family that owns LeClaire Manufacturing in Scott County, have been considered by some. Marion County Attorney Ed Bull was mentioned at one point, though there’s been little mention of him lately. But the timeline for a competitive Republican to get into the race is soon closing, as each passing month sees Loebsack get further and further ahead in his fundraising totals. You would either have to work incredibly hard or be very independently wealthy to catch up in what would be a difficult race regardless. The storyline to watch in the 2nd District is not so much whether Loebsack will face a serious risk of losing reelection (though the way that district is trending, he’s taking nothing for granted), but just how free he’ll be to help other Democrats on the ballot in his district and around the state. Republicans would hate to see Loebsack get a complete free pass, leaving him open to spread that money around. Loebsack was quietly very effective behind the scenes in Iowa Democratic politics last cycle, filling in to a certain extent the role that Tom Harkin once held of making sure things were getting done in the party and resolving problems. The people who have donated to his campaign so far have done far more than just to keep his reelection safe. If no other Republican candidate jumps in soon and sets up a primary contest, you can expect to see Branstad’s former network of donors get behind Peters for the next financial quarter to boost his totals in order to make Loebsack think twice about how much of his money stays in-district for his reelection. Once that happens, the door will essentially be shut on any other potential Republican candidates. NEXT POST Next post: How Many Iowans Must Die Before Reynolds Reverses Medicaid Privatization? The soap opera would be over if people who should no better (looking at you, Rep. Hunter) would quit giving it oxygen. Sean and county leadership are on to planning caucuses, Spring Dinner, hiring a exec director, etc. And from the looks of the 3rd Dist write-up (now posted), if she wants to make a serious run Heather would do well to spend less effort suing other Democrats and more effort campaigning to them.